His research focuses on understanding the role of strong correction effects in many-body quantum systems. The objective is to discover novel quantum states/materials and to understand their exotic properties using theoretical/numerical methods (with emphasis on topological properties). 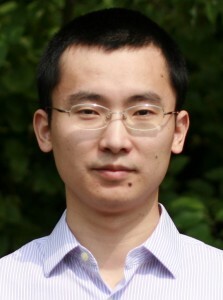 In his research, numerical techniques are applied to resolve the fate of a quantum material (or a theoretical model) in the presence of multiple competing ground states and to provide quantitative guidance for further (experimental/theoretical) investigations. Interaction induced topological insulator with spontaneously-generated orbital rotations. This figure demonstrate how to use strong interactions to generate a topological state of matter in a many-body quantum system.